You must make reservations at least 5 minutes in advance of the time at Ellyngton's at the Brown Palace. The Brown Palace Hotel has valet parking as you arrive at the entrance of the hotel. Ellyngton's will validate your parking ticket for the Dom Perignon Sunday Brunch. Deal makers, politicians and businessmen frequent the restaurant regularly making it the place see and be seen. 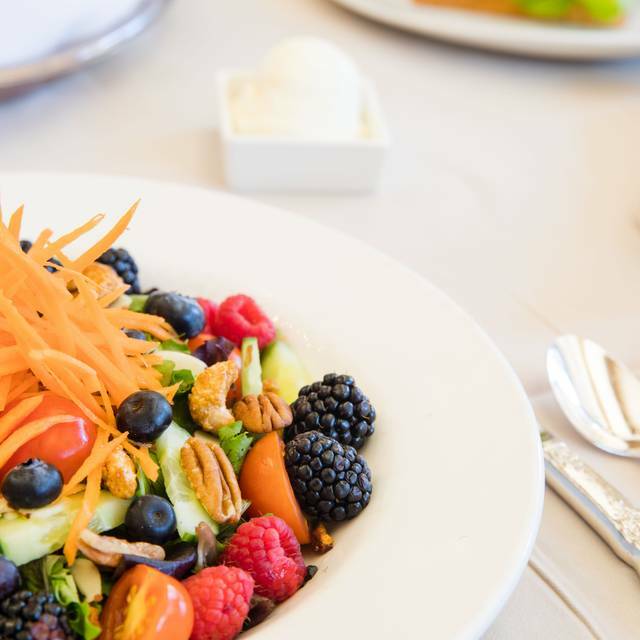 The hotel main dining room serves traditional breakfast with a twist; deli sandwiches, creative entrees and salads for lunch, as well as our City Search Best Brunch winning Dom Perignon Sunday Brunch. Three tiers of champagne are offered to complement the experience: Domaine Chandon, Moet et Chandon, and of course, Dom Perignon. Celebrated our granddaughter’s 13th Birthday with a Sunday Brunch. Delicious food and wonderful service ( thanks Dustin). Very congenial and attentive waitperson. Very professional and yet fun. We totally enjoyed ourselves. Excellent brunch place. It is a bit on the pricey side, so if you go make sure you enjoy some of the fish and seafood. This makes it worthwhile. They have delicious oysters, clams, mussels, salmon, mahi mahi etc. Our waiter was wonderful and the food was really good. However, I miss the chipped beef on toast! Disappointing experience. 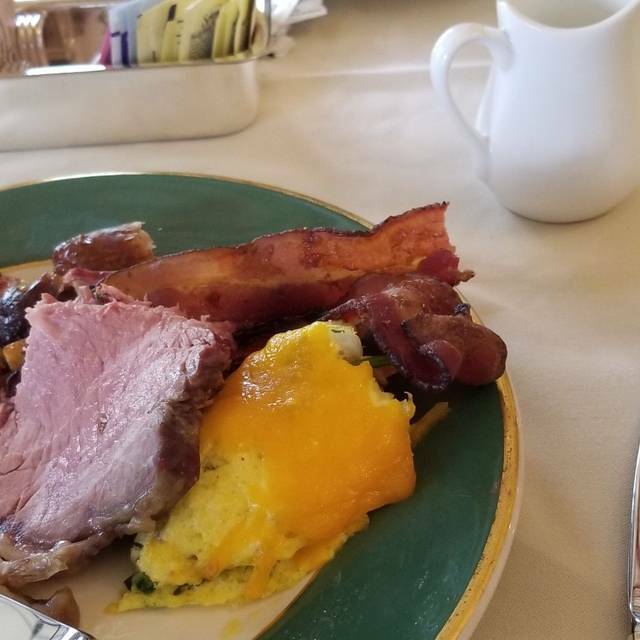 As a lifelong patron of the Brown Palace I was excited to introduce my son to Ellyngton's at the Brown brunch, an “experience of a lifetime”, yet soon I was totally embarrassed. I am certain he has seen better service at the local I hop or Village Inn. Do not, and I repeat do not take the last open table for the Brunch. You will pay the same hefty price, but you will feel like you are the wait staff eating the leftovers after a long shift. The service is terrible. Everyone is too busy tearing down tables, packing up their musical instruments and clearly waiting for you to get the heck out of there so they can go home. Our reservation was at 1:30pm and by 2:15pm I felt the pressure to finish up. The meat at the buffet was dried up and the gravy was literally crusted up from sitting there all day. Bottomless Champaign will be 3 glasses if you are lucky enough to flag down your waiter. I asked for coffee refills several times. There was a day when the staff was so attentive at the Brown, it was almost annoying. Those days are clearly long gone at the Brown “Palace" I will not return! Our latest experience was great; they never disappoint. My only comment would be that the live entertainment can be too loud sometimes. The music is pleasant and the musicians are talented, but perhaps the venue is too small for live performances. We had the breakfast buffet. The pancakes were great. The waitstaff was appropriately attentive. this is the only place where I go for breakfast and lunch. Service is very professional and always very courtesy. menu is well represented and food is very good. Just not what it used to be. So not worth the money. This was priced accordingly to the hotel in general. The service was good, and the food was really good, the view isn't that great and sometimes you get a view of the not so great things of Denver, but overall very nice. 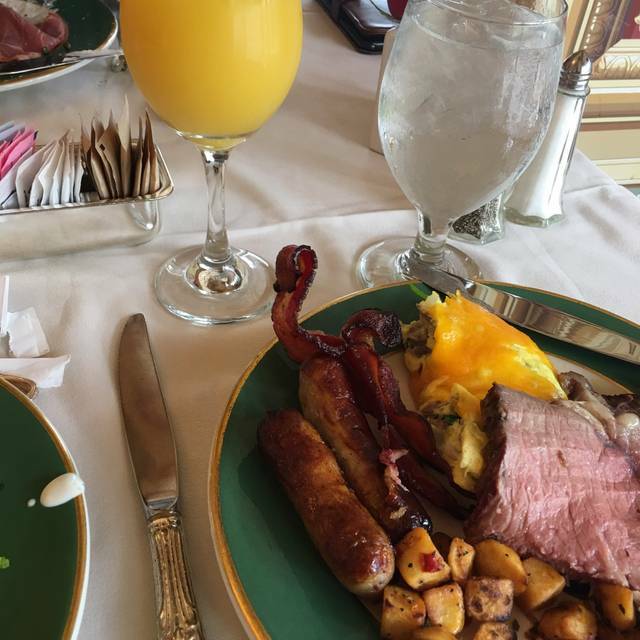 We love Sunday brunch at the Brown Palace. It’s our annual tradition for my husband’s birthday, and every year we look forward to it weeks in advance. And yet, it never seems to disappoint. 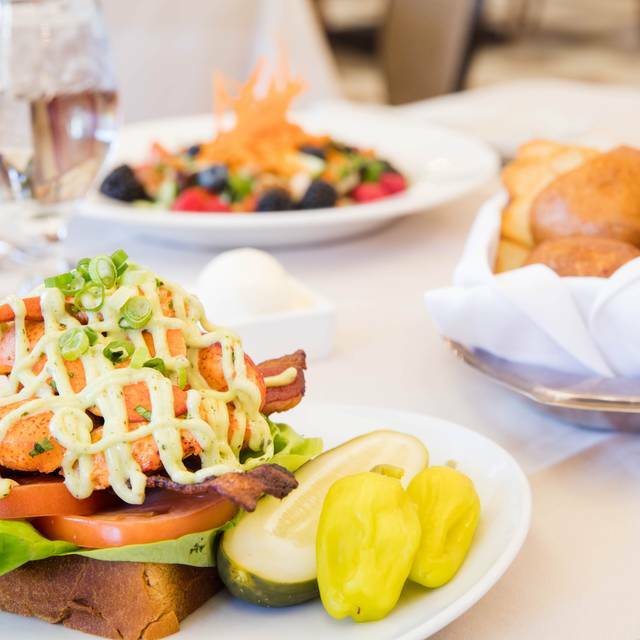 The seafood is lovely, the champagne flows, the bacon is exceptional and the atmosphere is both fancy and fun. We’ve always had great service, and we love the live music. The dessert section is ridiculously good, almost overwhelming (but if you are gonna be overwhelmed, it should be by dessert). It’s our annual glutinous adventure and we have no regrets! The food and service are what is expected from a top restaurant, it was first class. The thing that knocked down the overall rating was the noise level and thus by association the ambiance. I thoroughly enjoyed the band playing, but they needed to bring the overall amplification down three levels of magnitude. Between the jazz bass and the volume, it moved from being subtle, inviting music to more of what I would expect in a smaller venue to be the focus. Do I recommend the Sunday Brunch, yes. Did I enjoy the music, yes. But turn the volume down so that polite conversation can be had. Beautiful ambience, wonderful food, great service! Ellyngton's brunch is always amazing. The Mahi Mahi in brown butter sauce was really good. The Eggs Benedict with truffle are amazing. Quite overpriced for what it is. Beautiful hotel, ok service, mediocre food. Isn't the food why we should be there? Our server, Ed, was the best! He kept our drinks topped up and answered our questions. Wait staff were very good, there was a computer glitch that delayed our food significantly but we were kept informed. Food was very traditional American, diner style. I had expected a little more presentation and gourmet flare considering the foodie culture in Denver. Still very good. 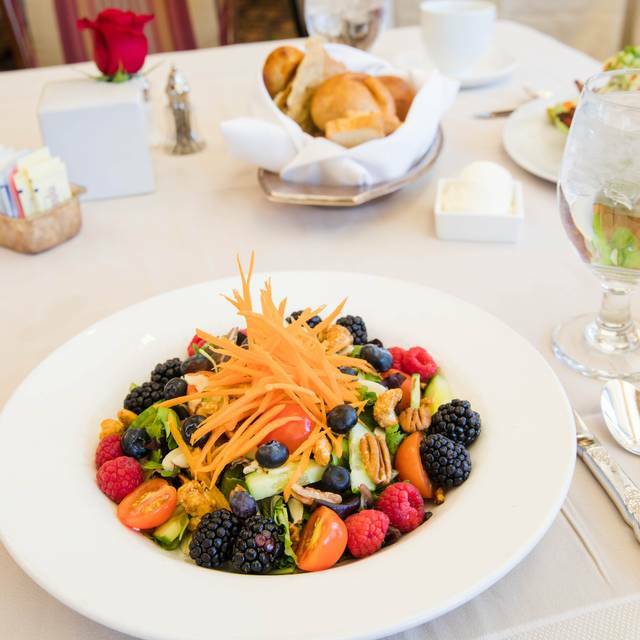 Always a pleasure to dine at Ellyngton's. It is truly one of the few places one can have an intimate meal free of irritating noise. We had a very nice brunch. 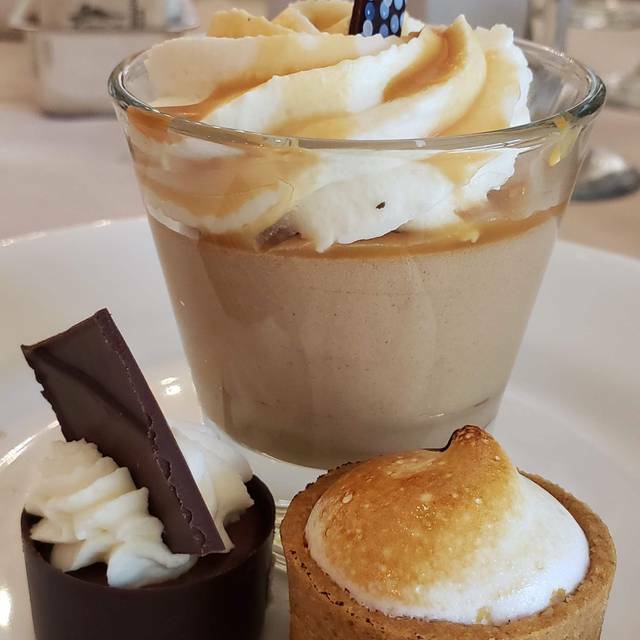 The desserts were really great! Great jazz band, great food, great waiter, no complaints, we will be back. I made a reservation for brunch to celebrate my husband's birthday last Saturday. We have frequented the Ships Tavern, enjoyed numerous events at the Brown Palace, and wanted to try Ellington's for this special occasion. We were greeted and seated in a lovely area; there were only a few tables with patrons. 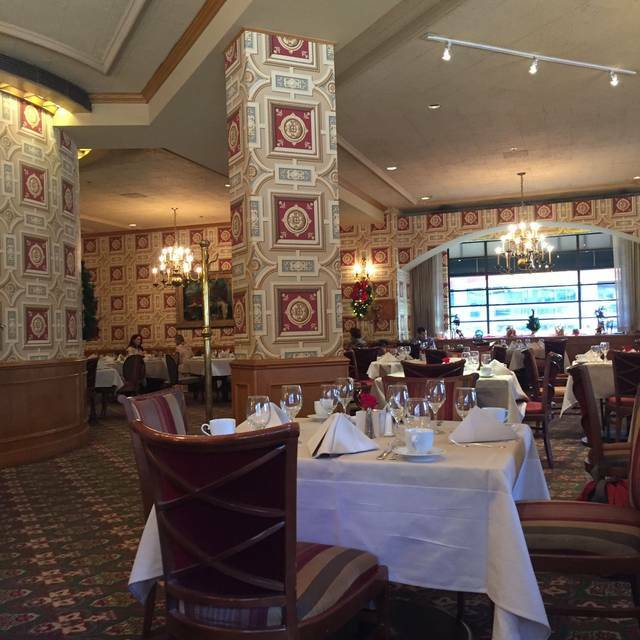 The ambiance is classic Brown Palace and you definitely feel elegant dining there. The brunch items were delicious and I would highly recommend the food. Unfortunately, the service from our server Anton was pathetic at best. There was a table that had a couple who garnered everyone's attention leaving us to ask three times for water and coffee refills that came eventually. Anton spent a great deal of time chatting with this couple while ignoring our table. In addition, I expected an acknowledgment of some type for my husband's birthday celebration and there was none. If it weren't for the delicious food, the brunch would have been a disaster. Anton needs training on how to serve his guests!!! A very nice Sunday brunch for a friend's birthday. The food was excellent and a good value for the quality. Our server, whom I’ve had before, is about as exciting and attentive as a sloth. Great old school service, food service. One of the great lunches in the city. This was an awesome experience. I would recommend the campaign brunch to anyone that is looking for a memorable experience! I love the ambiance here. The employees and wait staff were super friendly. Excellent experience! 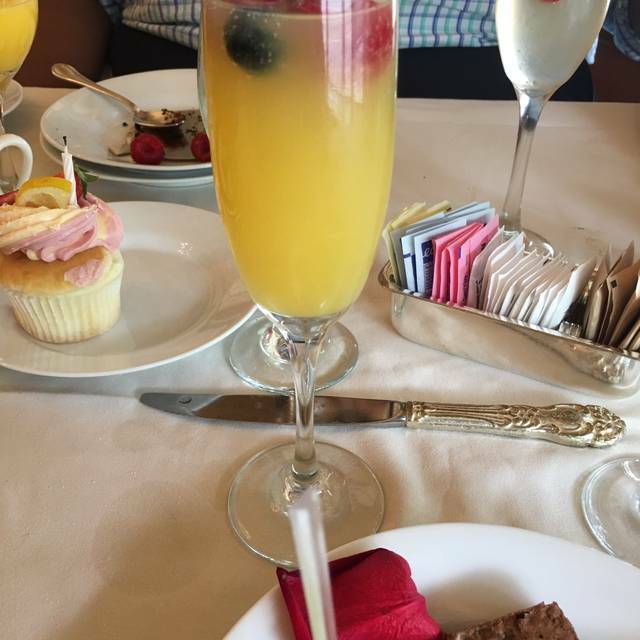 My husband and I went for brunch to celebrate our 21st Wedding Anniversary. The food was fantastic and Garth (our server) was very attentive. The only complaint was that I had requested table 61 or 62 and my request was not honored. Our reservation was for 11:15am. I do not believe the comments/request are read in a timely manner. The young lady appeared to just be reading the request. My friend and I met for lunch at Ellington's inside the Historic Brown Palace. 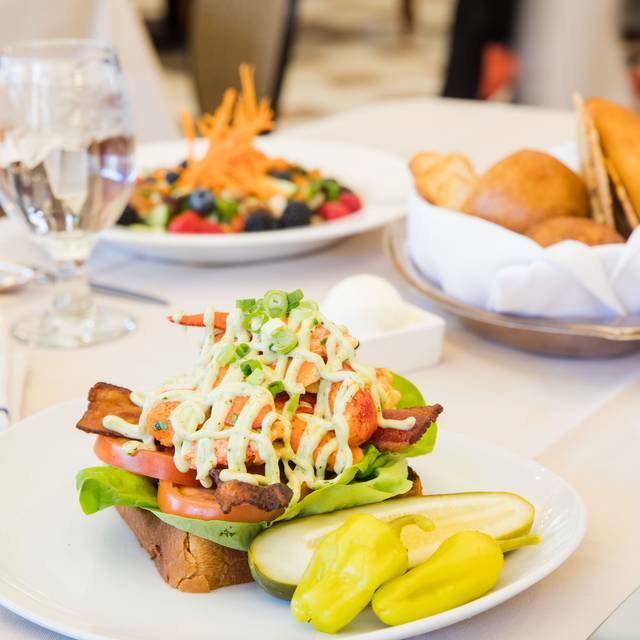 Everything in Brown Palace exceeds expectations. Ellington's does also. We were warmly greated, promptly seated and provided a very attentive staff. Salads were elegantly plated and very well portioned. We frequent Tea and occasionally indulge in the Spa here too! Service was not as excellent as usual. Seemed like reduced wait staff. This is my second lunch there in a month. Each time there were 15 of us. Our tables were ready on time, the waiters were informative and attentive. Everyone in my groups loved their food and we all said we would definitely want to come back. Sunday brunch was decent . . . very busy and hard to get the attention of our server. Food was good, not amazing. Fresh shrimp, good cheese selections, decent cinnamon rolls. We ordered eggs benedict. The hollandaise sauce was pretty congealed and the eggs were overcooked. We enjoyed our time, but not really worth the price. Great food, excellent service and really enjoyed the live music. It was a great time. We were seated a little before our reservation. The waiter was right there and explained everything. Waited until we were back at the table to bring our coffee so it would be hot. Cleared plates right away so we could start again. Food was amazing and was replenished often. It's a beautiful restaurant and a wonderful place for a special brunch. It's pricey for brunch but certainly all great food and great service. Service is excellent. Very relaxing atmosphere. Would definitely recommend trying it out if you have never been.